I've been through just about every fashion challenge in the workplace. I've even had days where I swapped my heels in a restroom stall for a hardhat and boots -- to later put back on my dress for dinner! Out of all of those different fashion scenarios, the most difficult is business travel. From finding comfortable and stylish shoes that will make it from the airport to the meeting (and maybe you have to present or facilitate for hours on end), to changing temperatures, to laptop bags with ample room, to losing a nail, here's three tips for traveling in style for business. 1. Foldable ballet flats will save your feet in the airport. When women travel, a lot of the time we are going to client meetings, facilitating our own meetings, or presenting to groups of people. Not only are your feet taking a beating at the airport, but they get worked during the day as well. Retailers now offer "Comfort" sections on their website, which provide options with extra cushion and support in all heel lengths. The foldable ballet flat makes it easy to be comfortable while in the airport and lugging baggage all the way to your work destination. They easily fold up and require little space to store. 2. Choose laptop bags that are vibrant with ample space for your travel needs. 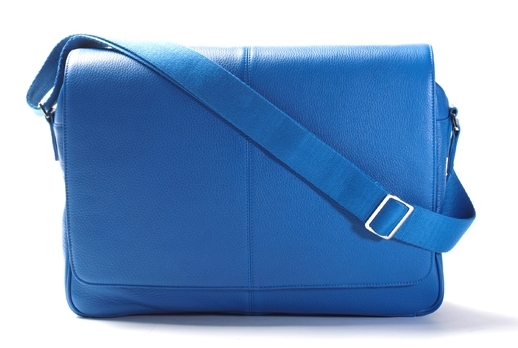 Handbag designers offer many selections in laptop bags (also called Tech Bags) and my favorite today is Leatherology. The bags are of superior quality, personalizable and accessibly priced leather goods. You won’t typically see a logo on the front of their products, because they let you personalize everything and make it your own. 3. Use a portable nail polish system for 10 days of perfect nails. I love a great gel manicure, it's the only polish I will use anymore because regular nail polish will chip in two days time. I even bought my own OPI light so that I could give myself shellac manicures, but what do you do if you're on the road and your nails chip or peel? Sephora offers a four step gel manicure called the Xcel system that is travel friendly. You can even store all four bottles in your travel liquids bag. Do you have great travel tips to pass on? Let me hear them in the comments below!